Bicycle is placed on lowered ramp and lifted to upright position, where it stays safely parked and protected from theft and damages. Bicycles parked in such way would occupy les space, up to 80%, in comparison to conventional parking systems. Maximum safety from theft and damages, and maximum space saving. 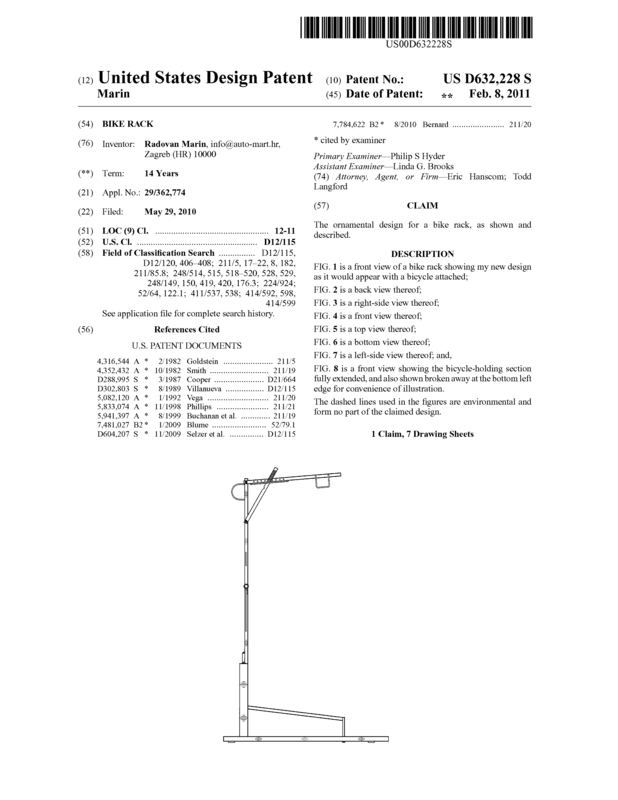 Page created at 2019-04-25 0:00:38, Patent Auction Time.